It's a busy day in the markets. 1. Euro surges after rate cut: Europe's currency has surged by about 2% versus most other major global currencies after the European Central Bank cut a key interest rate and promised more measures to try to get growth and inflation moving again in Europe. The ECB was widely expected to make this move, but the rate cut was smaller than anticipated. "It seems the ECB favors an incremental approach, on this policy area at least," noted Ken Wattret, an economist at BNP Paribas. The euro has been under pressure for months while the U.S. dollar has rallied. The dollar index hit a 12.5 year high against other world currencies on Wednesday after the head of the U.S. Federal Reserve indicated that an interest rate hike is likely to take place later this month. This leaves the two most powerful central banks in the world moving in opposite directions. 2. Another mass shooting: At least 14 people were killed and 17 others injured in a mass shooting in San Bernardino, California, the deadliest incident of its kind since Sandy Hook. Gun sales have spiked in the wake of previous shooting because they tend spark talk of tighter gun controls. Background checks for gun sales jumped 40% in December 2012, the month of the Sandy Hook massacre. Shares in Smith & Wesson (SWHC) have rallied by 94% since the start of the year and shares in Sturm Ruger (RGR) are up 52%. Both companies have significantly outperformed the broader market. 3. Oil in the spotlight: Oil prices could be volatile Thursday as investors ponder a report that the world's most powerful oil producer -- Saudi Arabia -- may try to convince other major producers to cut production by one million barrels per day. Research firm Energy Intelligence predicts Saudi Arabia will make the proposal on Friday at an OPEC meeting. 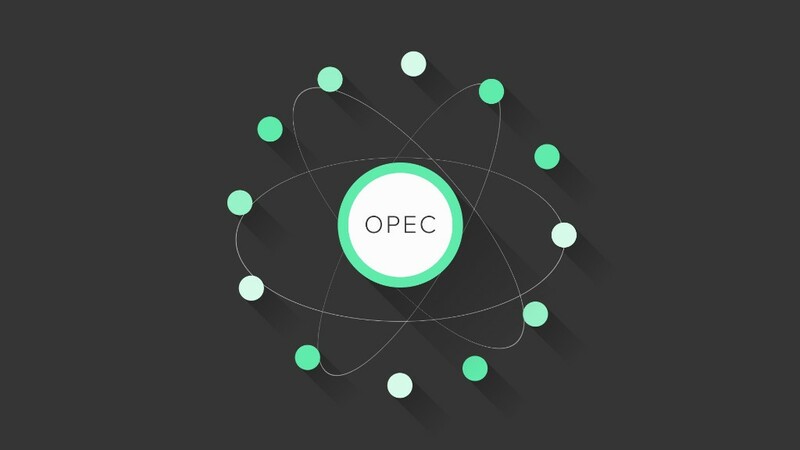 Saudi Arabia is reported to be seeking the participation of producers outside OPEC in an agreement to cut output. "Although a cut is still not expected to be agreed at this meeting, the proposal suggests the kingdom is looking at ways of managing a potentially choppy market next year," Energy Intelligence said in a report. Crude oil prices dipped below $40 per barrel on Wednesday but have recovered a bit and are trading around $40.70. 4. Market movers -- Avago, PVH and beer: Shares in Avago Technologies (AVGO) are rising by about 9% premarket after the company reported better than expected earnings. Shares in PVH (PVH) -- the parent company behind Calvin Klein and Tommy Hilfiger -- are also rising by about 3% following well received quarterly results. And we could see moves in the beer industry after Anheuser-Busch InBev (AHBIF) said it was looking to sell some of SABMiller's (SBMRY) premium beer brands as the two companies work to combine their business operations. 5. 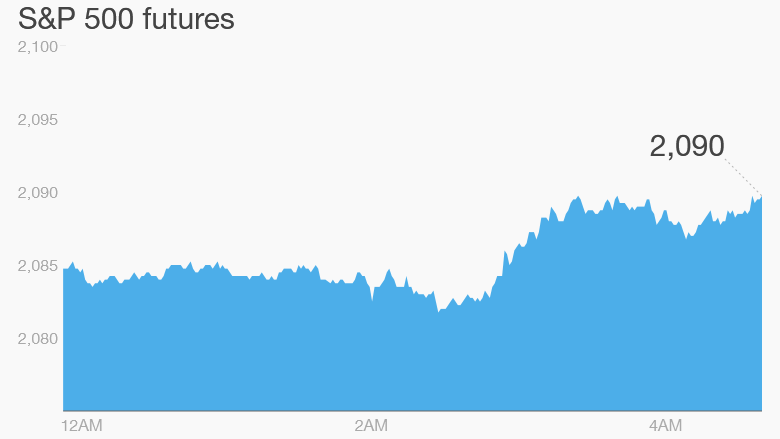 Stock markets overview: U.S. stock futures are dipping ahead of the open. Most European markets are in negative territory in afternoon trading, while Asian markets ended with mixed results. On Wednesday, the Dow Jones industrial average sank 0.9%, the S&P 500 dipped 1.1% and the Nasdaq lost 0.6%.